Delaibatiki’s My Say: Are we preparing our students to meet needs of a 21st century world? There are two questions I would like to pose to our education policy planners and writers plus our educators. Are we preparing our students for the future? Are we educating them to be able to meet the needs of a 21st century world? With the rise of the internet – the days or rope learning, lectures and in the classroom lessons are numbered. Young people can get all the information from the internet. And universities should be looking to adjust their curriculum and approaches accordingly. USP Vice-Chancellor and President, Professor Rajesh Chandra, speaking on USP’s biggest future priority, says: “USP will also have to deal in a very agile way with what is called the digital revolution because right across the world, the biggest changes that are occurring are coming around from digitising everything and the introduction of artificial intelligence. The universities are not immune from that. Bloom taxonomy models of learning, present six levels of learning. Bloom’s Taxonomy is a classification of the different objectives and skills that educators set for their students (learning objectives). The taxonomy was proposed in 1956 by Benjamin Bloom, an educational psychologist at the University of Chicago. The models are best understood when conceptualised as levels in a pyramid that progress from simple recall or recognition of facts to more complex higher level order learnings such as evaluation and creative thinking. The premise for 21st century approaches to learning stem from a need to move past lower order learning levels of simply remembering facts or knowledge, to evaluation and creative learning. At a time when we are in the midst of an education revolution, sparked by digital development, research has suggested that the higher levels of learning are what we should be focused on in the classrooms. Universities are starting to wake up to the reality that they need to be delivering their curriculum in new and innovative ways to ensure students are skilled evaluators and creators. Ma Yun, known professionally as Jack Ma, one of China’s richest men, has something interesting to say on this issue. 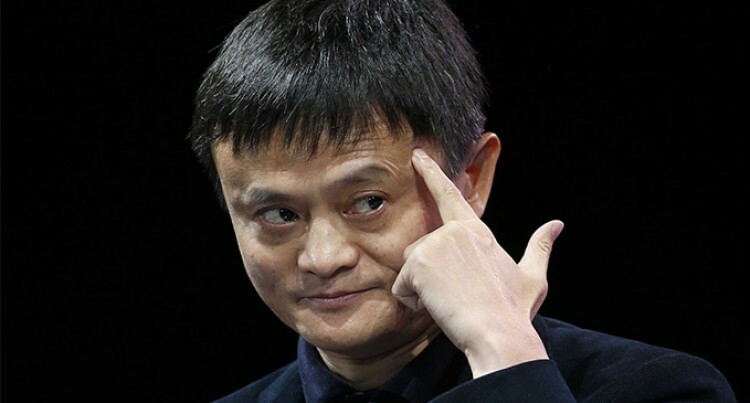 Mr Ma is a business magnate, investor, and philanthropist, co-founder and executive chairman of Alibaba Group, a multinational technology conglomerate. Mr Ma says that the education sector is failing us – we are failing our kids. He predicts that 30 years from now most jobs will be done by robots and we will have to compete with robots in the future. Because of this is he argues we need to be teaching our kids skills that robots won’t be able to have. He gives examples of empathy, communication, collaboration, things that robots won’t be able to do. Some call such skills as ‘soft skills’ however, I call them ‘human’ skills. Do our young people know how to work collaboratively? Do they know how to empathise with others? Do they know how to evaluate different situations and contexts? We need to extend their ability to imagine, dream and think outside the square. There are many examples of new products, services and technology that started with someone, thinking outside of the square, working hard and dreaming big. Are we encouraging our young children to do that. Do we ask them what their passions are and then give them the freedom and skills to realise those passions. “Anything that is routine or repetitive will be automated,” said Minouche Shafik, Director of the London School of Economics, who spoke on Saving Economic Globalisation from Itself. Overhauling our education system would be essential to fixing the fractures in our societies and avoiding a tilt towards populism, she said. Fabiola Gianotti, an Italian particle physicist and the woman in charge of the Large Hadron Collider as well as other Big Science projects, says music is as important as maths. “We need to break the cultural silos. Too often people put science and the humanities, or science and the arts, in different silos. They are the highest expression of the curiosity and creativity of humanity,” she says. There is enough food for thought here for our policy makers and educators.